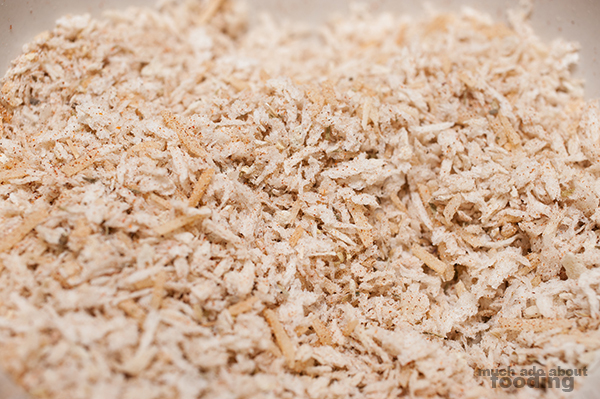 Last week's Test Kitchen ingredient was WASABI. 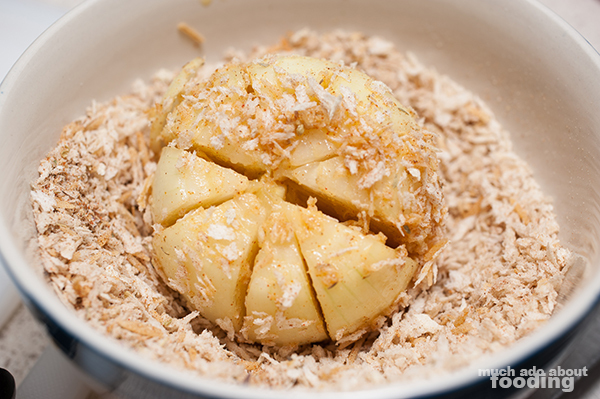 If you've forgotten how Test Kitchen works or you're new to this series, I basically post up an ingredient every week and welcome suggestions on experiments to try out with that ingredient. It's got to be something I haven't cooked with before; sometimes people even challenge me! 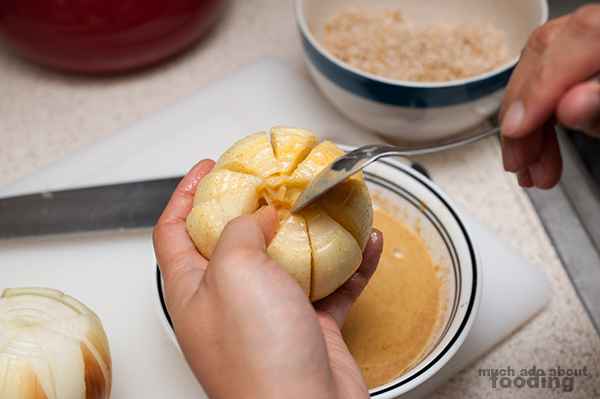 It's a fun way for me to be creative in the kitchen and get YOU involved in seeing your suggestions come to life. Besides, hasn't there always been something you've wondered how they made but never gave it a shot yourself? Let me test it out for you. So wasabi powder was the chosen ingredient last week. 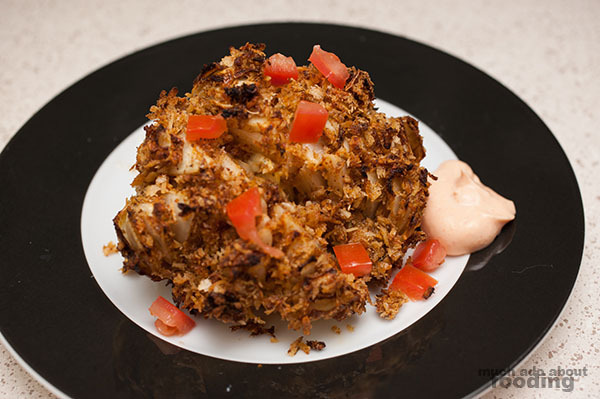 Thank you for the suggestions everyone - I decided to give a bloomin' onion a try (thanks to Long for the idea) but wanted to bake it to avoid the mess (and unhealthiness) of deep-frying the whole bloomin' thing. Check out this concoction! Preheat oven at 425°F. 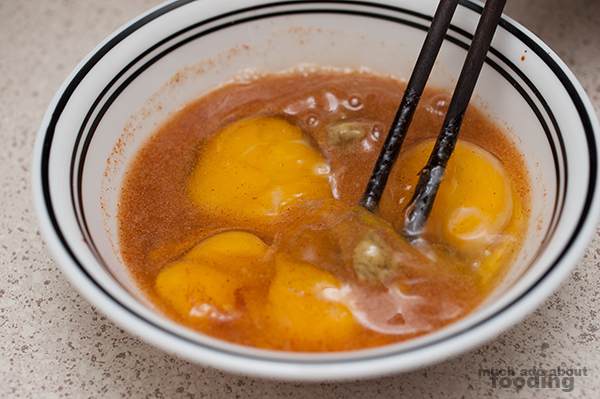 In one bowl, add together water, eggs, 1/2 tsp paprika, onion powder, 1 tsp wasabi powder, and ground mustard. 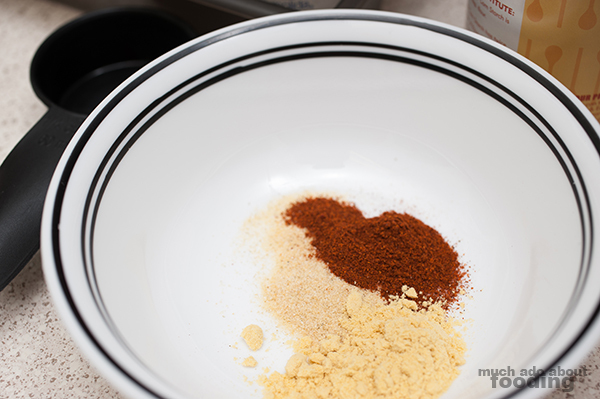 In another bowl, mix together panko crumbs, Parmesan, remaining paprika, oregano, remaining wasabi, and garlic salt. 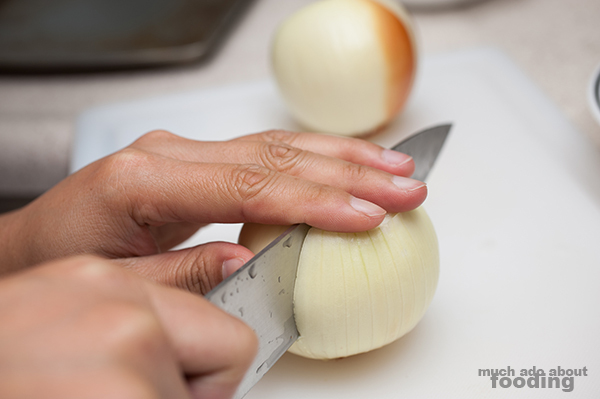 Peel onions completely. 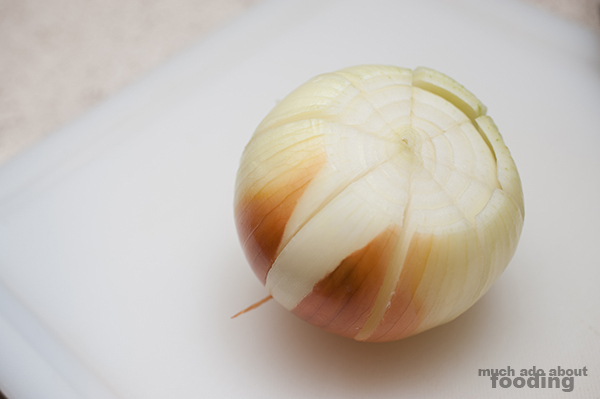 Slice off the top part of the onion and just enough of the roots to make them stand up straight on a flat surface. 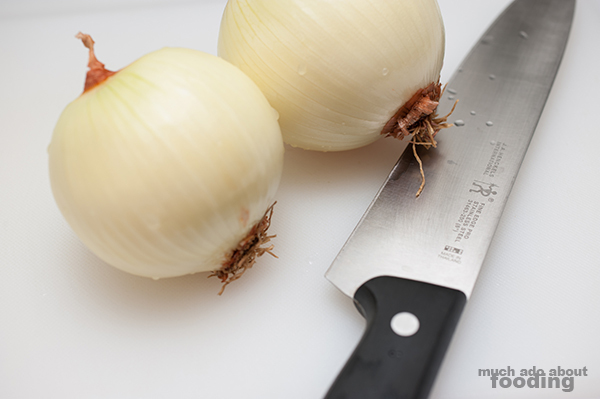 Divide onions into eighths carefully, leaving about 1/2" from the bottom so that it all stays connected. Grease a baking sheet well. You will be going through two iterations of the following two steps. 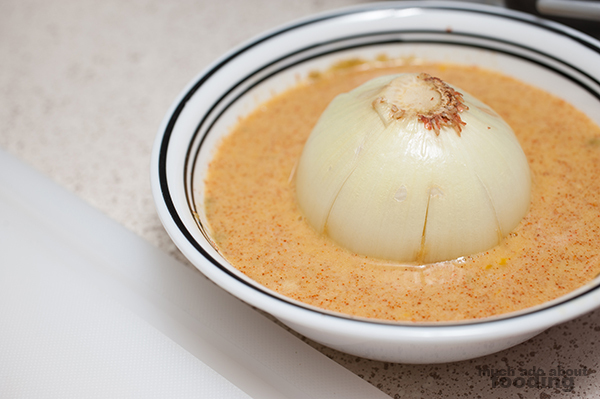 The first time, dip your onions into the egg mixture and then remove to start spooning in between the layers. 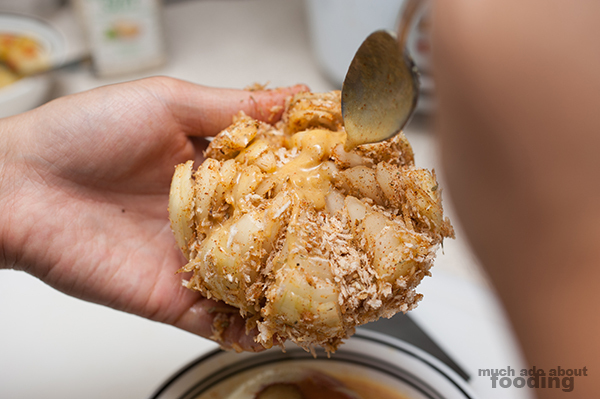 Make sure to really get into the layers because you'll need all of the stickiness for the crumbs later. 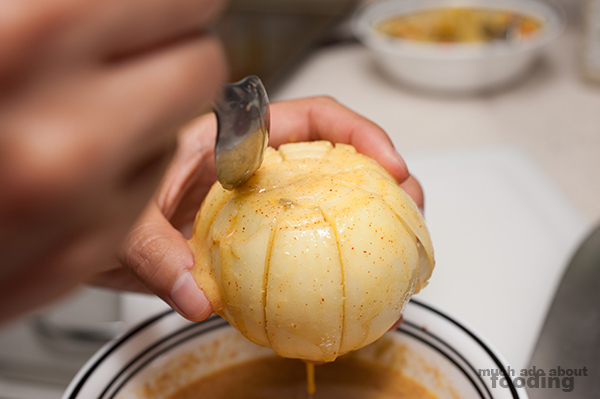 Don't be afraid to separate the layers a bit to get the mixture thoroughly added to the onions. 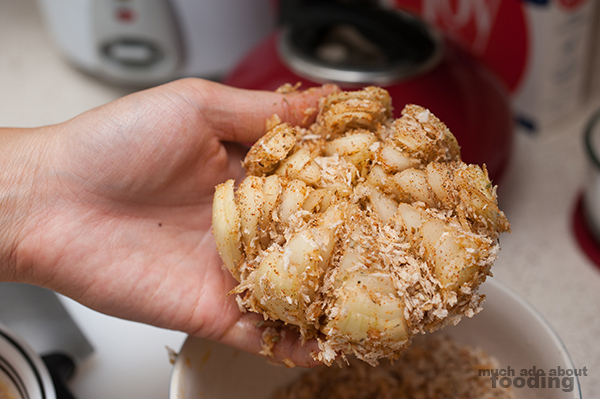 Here's a fun part - dunk the onion into the crumbs! Then, start pushing as many crumbs as you can in between the layers. The more, the better. 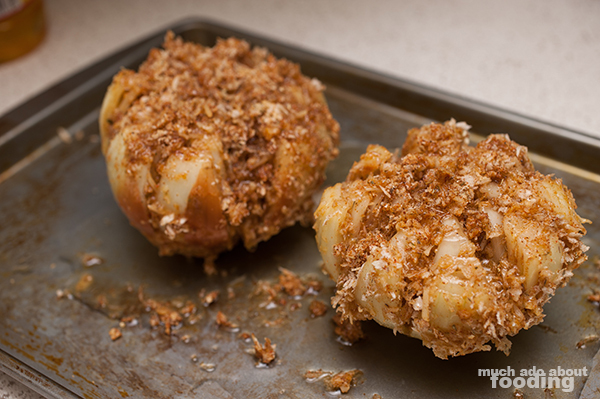 Repeat the egg and crumb addition to each onion. I would suggest just spooning on the egg mixture only the second time around. The same thing with the the crumbs. When finished, place on your baking sheet and cover well with oil (very well!). This will make sure it is all crispy inside and out! 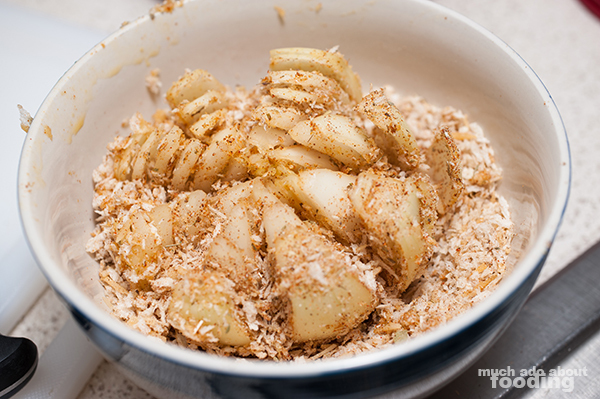 Bake for 30-45 minutes (check at the 30 minute mark) and enjoy when mostly golden brown! We had it with a quick dipping sauce made from sriracha and sour cream, hehe. 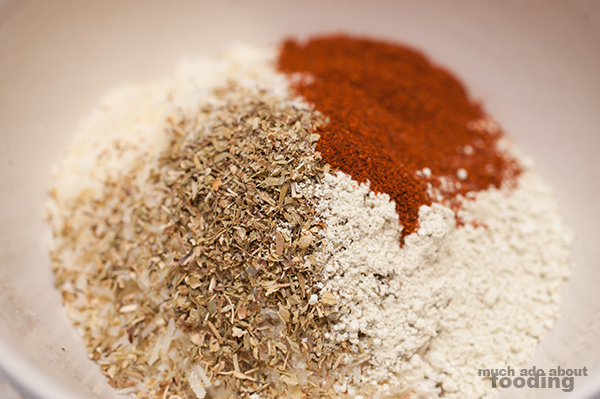 Also, if you're worried about spiciness, don't be! Wasabi is actually quite sweet with a vegetal taste you might not realize it would have considering that you're always eating horseradish ;]. 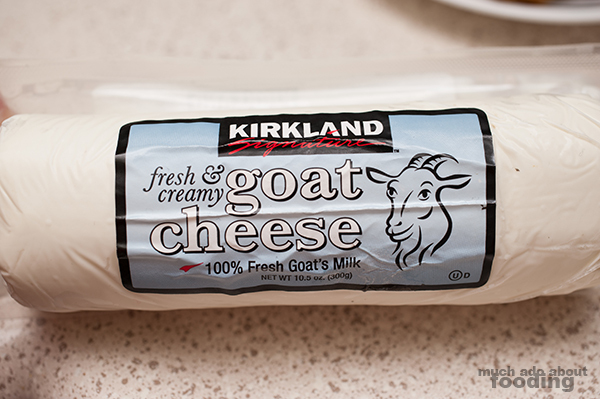 Can you believe I haven't cooked with goat cheese before? Seriously - it's like a crime! Well I don't think I really need to explain what it is so please, just comment on the picture on what you'd like to see done with it. The picture will be up on Facebook today!